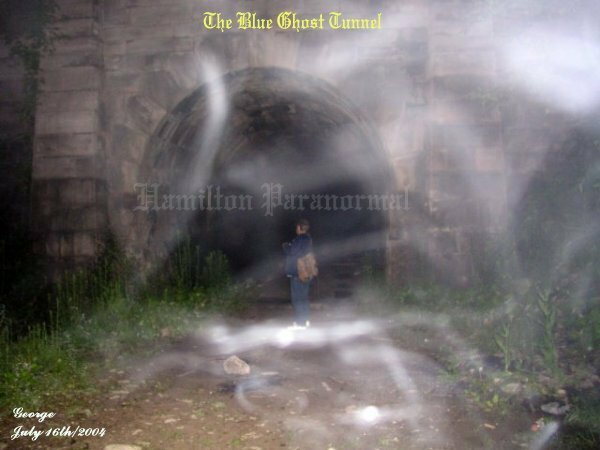 We returned to the BGT with a small group of folks that wished to explore this eerie place known as the Blue Ghost Tunnel and wanted us in attendance. 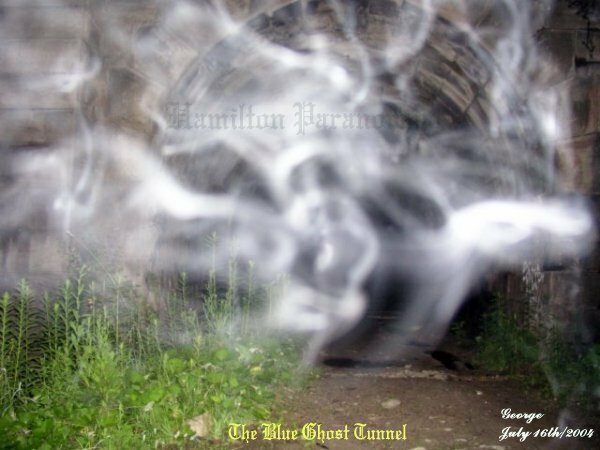 Once again, upon our arrival, the tunnel looked menacing as we aproached the entrance. We started to take pictures at the entrance of the tunnel and everyone was looking to see who would be the first to go in. 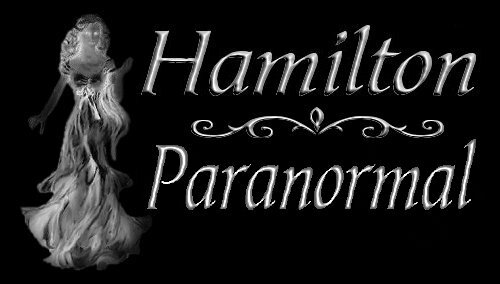 Then the dare was made for a person to walk in the tunnel by themselves and head for the first beam within. It did not take too long for the person to come back out of the tunnel. 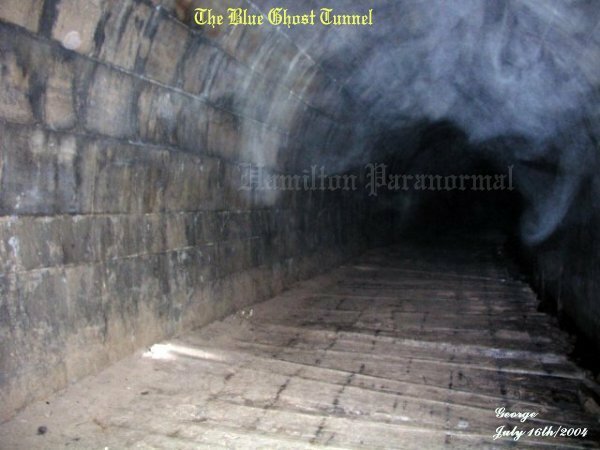 Here are our photos as well as what everyone had experienced this night at the tunnel. 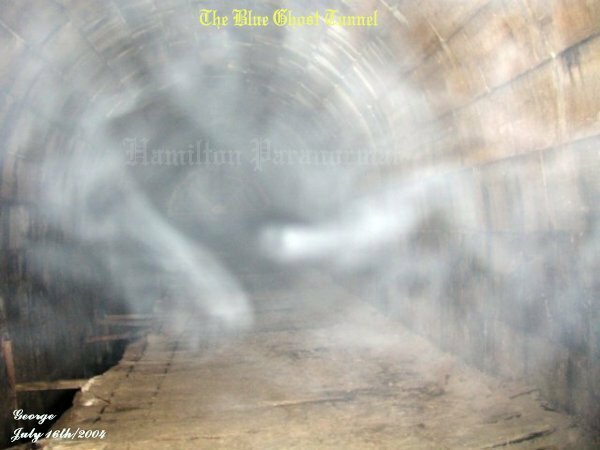 In the above photo there appears to be something forming within the tunnel just to the right of the picture in ecto plasm form. This photo is interesting to say the least. 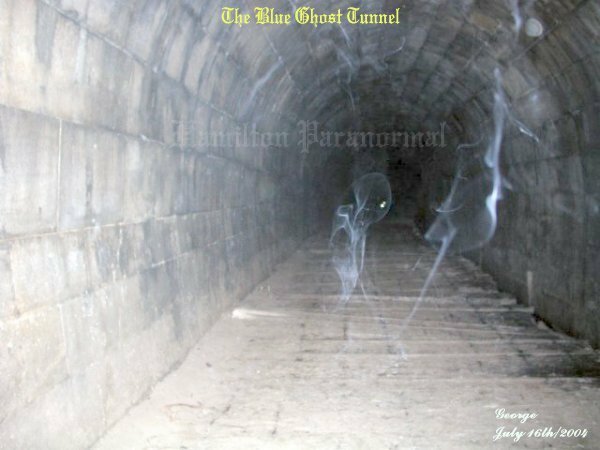 In the tunnel there appears to be an alien type figure standing in the center, with an arm up that splits into something like three fingers holding a pod. Along the right wall there appears to be what looks like a sting ray going up the wall. These forms were in ecto strand forms of energy. 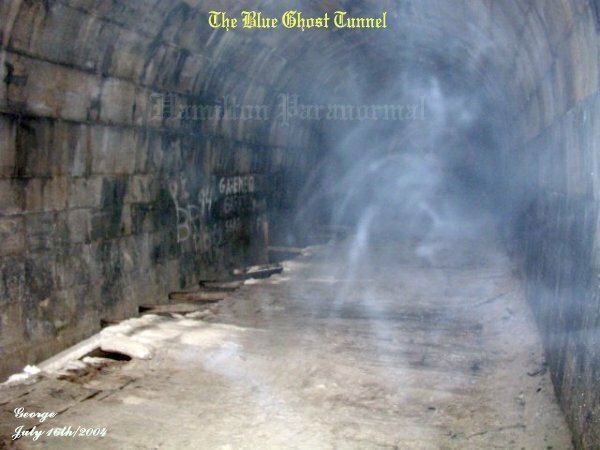 More ecto mist in energy forms within the tunnel. It was around this time that Stan and I had heard what sounded like a little girl say "daddy". It made Stan and myself turn to one another and ask "Did you hear that?" 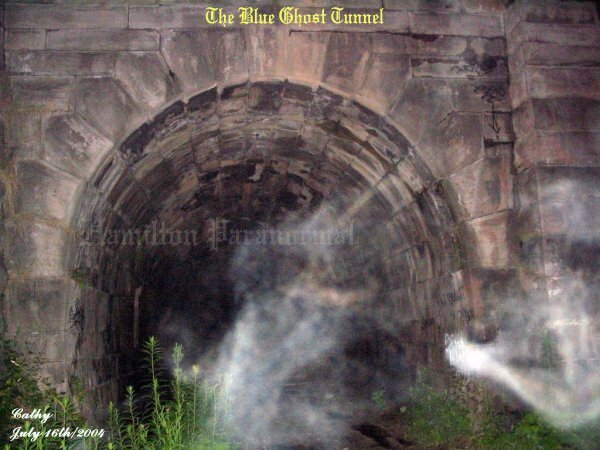 Some blue ecto plasm up by the ceiling in the tunnel and there were no forms within the mist that we could see. At the time of this picture I was asking Stan to go into the tunnel by himself. As you can see he seemed to be testing the waters sort to speak before entering. Stan seemed to have some company around him as if to say, please enter. Cathy had taken this picture and managed to capture some strong energy at the entrance. Just to the right there appears to be a person holding onto something by the tunnel's entrance. 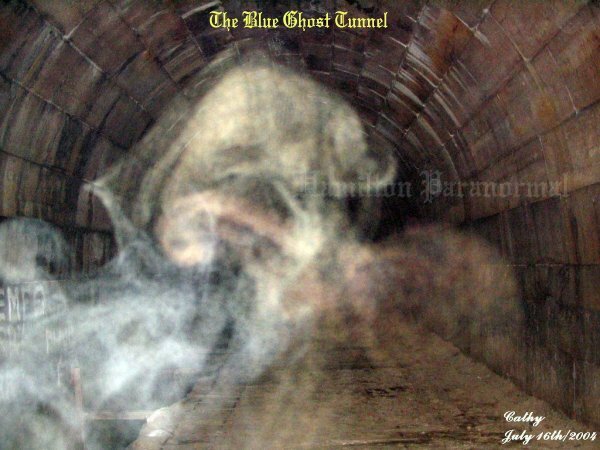 In this energy form in the tunnel it appears to be a dog's head, half formed, near the top of the picture.